I set off from home at 6AM, got to Brazil’s to get my bait at 6:25 and was in the car park at Samphire at 6:45. Once I was all set up and cast out it was 7:15. I was using common lug, black lug and ragworm for my baits. On the first cast I started getting knocks. And with a gentle strike I was into a fish going mental on the line. I didn’t know how big it was but it made a great presence of itself. 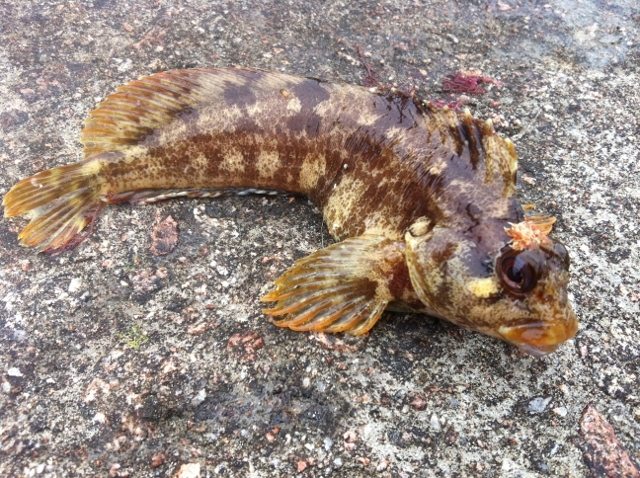 I was into my first new species of the day, a female Corkwing Wrasse caught on ragworm. 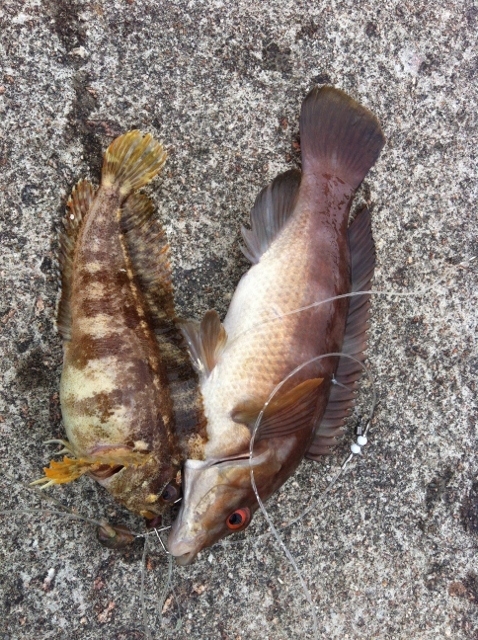 Then the other rod started knocking a short while later and I pulled up my first Ballan Wrasse of the year. This one weighed just a touch over 13ozs. 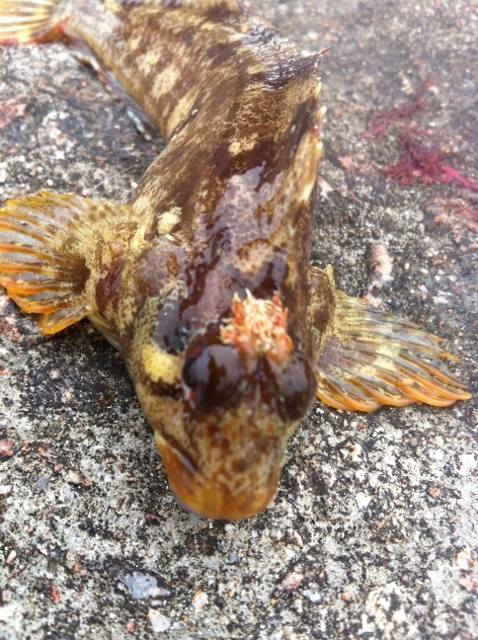 I then pulled up another new species to me, and my third of the day, a Tompot blenny. 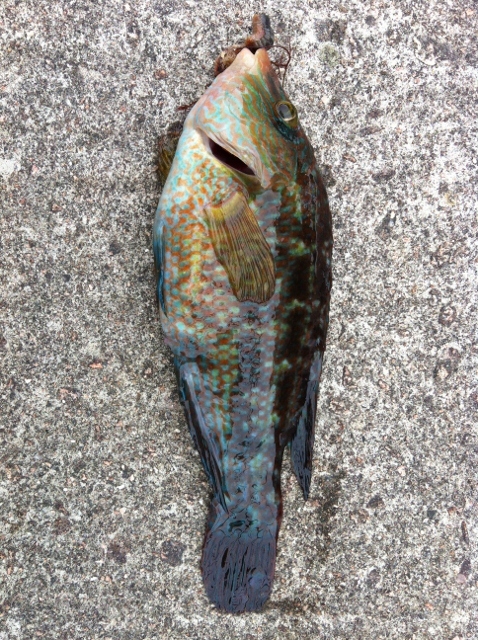 Then after another Ballan Wrasse I thought I had a Cuckoo Wrasse, but now believe it is a male Corkwing Wrasse. 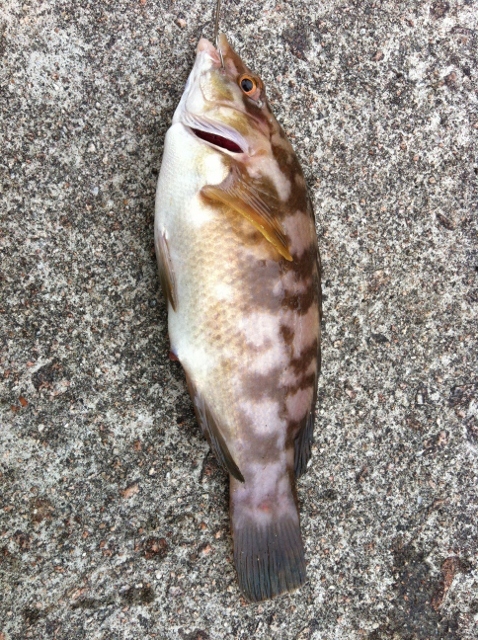 Then the final fish of the day was another Ballan Wrasse. 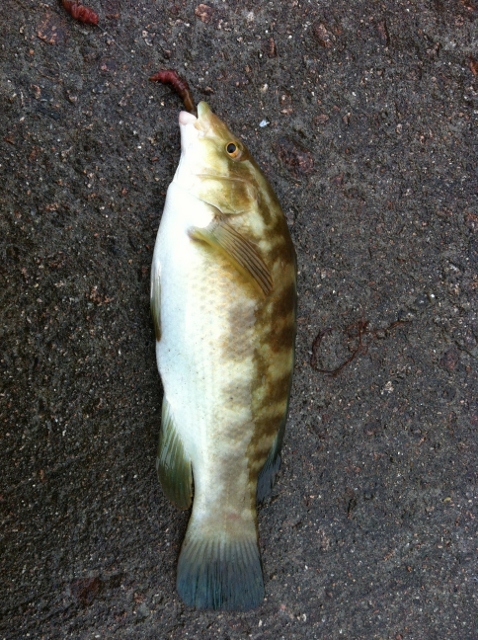 I met up with a forum member there and chatted and fished together for a while and along with the wrasse he caught he popped up a nice bass that was returned after landing and measuring. I left Samphire Hoe at about 19:30 after a great day. I lost about 9-10 rigs, countless hooks. This session puts me up to 14 species for the year and only 3 away from my target of 17 with plenty of time left in the year.